The Universal pair will battle it out with R&B singer Mahalia (Atlantic) for the award which has predicted many future stars of British music over the last decade, including the likes of Sam Smith, Ellie Goulding and Adele. The winner - who will be announced this Friday - will be chosen by a panel of music editors and critics, plus heads of music at major radio and music TV stations. Scottish singer-songwriter Lewis Capaldi has had an incredible year since his debut track Bruises exploded online last year. To date, he has sold a staggering 50k headline show tickets, been added to the Radio 1 Brit List, amassed nearly 250m plays for his handful of tracks across streaming services and four sold-out back to back headline tours, as well as opening for Sam Smith's UK and EU arena tour. Following his recent sell-out headline show at London's O2 Shepherds Bush and BBC Radio 1 Live Lounge session, he’s also set to hit the road in UK and Europe with Bastille next February. Lewis says of the nomination, "Absolutely honoured to have been shortlisted for this year’s BRITs Critics’ Choice award alongside two unreal artists. Genuinely cannot believe I’m being included in something like this and do not think I’ve done enough to be deserving of it! That being said, from here on in I will insist that those around me, including my mother and father, refer to me only as BRITs Critics’ Choice Award Nominee, Lewis Capaldi." 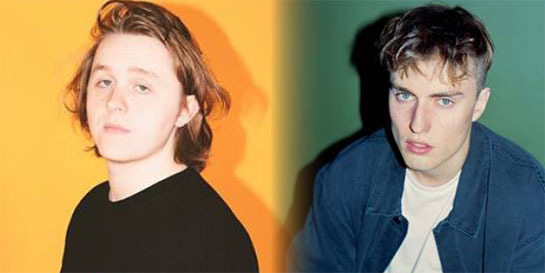 Very little has stood in the way of Polydor-signed singer-songwriter Sam Fender and his rapid ascent over the past few months. Having toured the UK and Europe relentlessly, building himself an army of fans, the Newcastle-based musician writes honestly about subjects of social and generational significance, drawn from his experiences growing up in the North East and presented in his recently released debut EP Dead Boys. As well as appearing on the BBC Sound of 2018 longlist at the start of the year, Sam also performed on Later With Jools Holland just last month. The BRIT Awards 2019 with Mastercard will be broadcast live on Wednesday February 20 from The O2 Arena.